6/30/2014, Allentown, PA—EcoTech Marine is proud to announce its newest member of the Radion LED lighting line, the Radion XR15wPRO. Available soon at your local fish store or favorite online retailer, this Radion XR15wPRO is ideal for smaller or shallow reef tanks (80 gallons or less) and for hobbyists who want to invest in the health and beauty of their tank. This light has the same dependable, high-quality technology found on the larger Radion XR30w model, for a lower price. 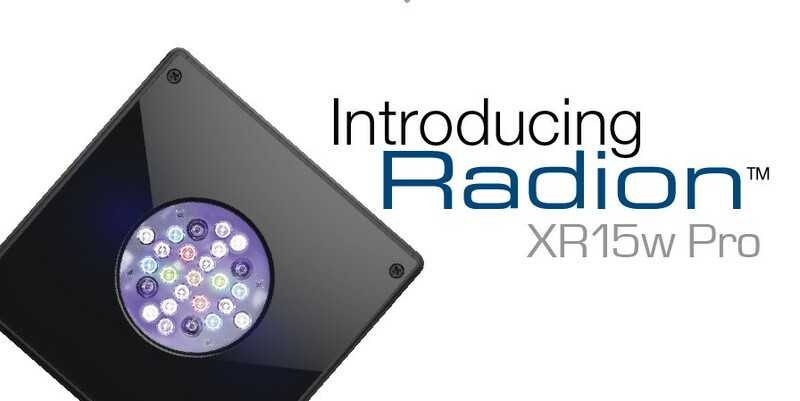 The Radion XR15wPRO has the same modularity as all Radion lights, enabling easy upgrades and backwards compatibility. It also seamlessly integrates with ReefLink and EcoSmart Live, EcoTech’s wireless, web-based controller platform. For more information about EcoTech Marine, visit: www.ecotechmarine.com, like the company on Facebook or follow on Twitter.